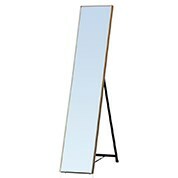 This collection features standing and wall mirrors from a wide range of designers. The products in this range integrate both modern and antique styles which are designed to enhance your home. Whilst we have many basic designs, this range has many decorative styles which will make your apartment stand out. We have many shapes available including square, rectangular, geometric and more. Our products are made from a myriad of materials including timber, iron, aluminium and wood. Our products are impressive due to their intricate detailing, in particular our wooden carved frames. Whilst this collection offers premium products, our prices are reduced ensuring that anyone of any budget can afford them. You will find prices reduced 50% below market price. If you are looking for a key piece of décor for your home, a decorative product from this range is a fantastic way to spice up a room efficiently. Experiment with many different metals, embellishments, carvings and mixed materials. 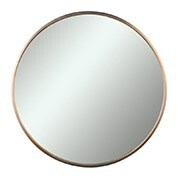 Get a mirror with us and set it up quickly since we will be able to deliver to you ASAP.